did you get lucky with some of the rng? Something new, that we don't know ? yeah the end is pretty luck-heavy. bad boss rng can add a lot of time but the odds arent so bad, getting a good run with good rng can happen every day. i'm pretty sure Mike Knows. he mentioned some stuff about speedrun strats that he decided not to take out in the new patch. but yeah that's pretty good there Frig. not sure if LZ officially started the speedrun contest just yet. these times are going to get crazy. well just make sure you've practice up on the fastest ways to climb stuff. There are some sections where you can drop down and avoid ledges shaving off a few seconds. SO did anyone get any better time ? or did someone discovered something new ? If not, maybe I will at last start my own attempts. I'm about 20 seconds slower than frig right now. 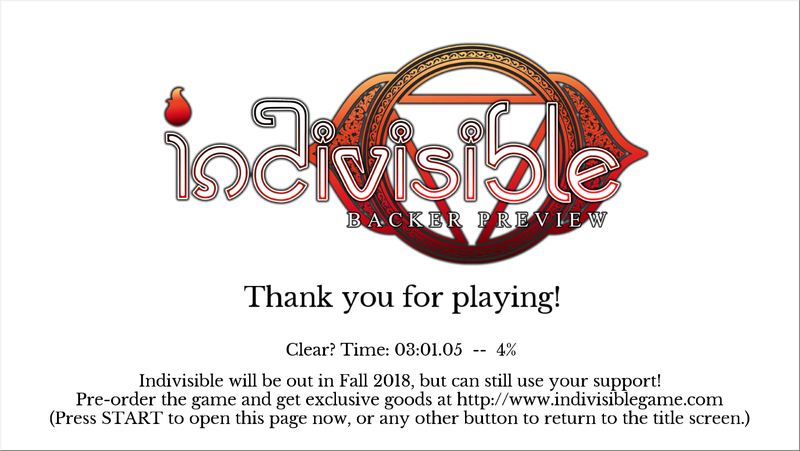 Althoug, I'm still not sure what glitch frig use, I combined all the strat that we know about for clear/pacifist/zen run, and first will try to get close time ( I don't believe I will ) and after getting some good time with that, I will probably switch 100% and try there, because so far it wasn't mentioned that much. @frig Are you recording your runs too? If you win i definitely want to see it. I'm kind of annoyed that there are prizes at all now since I have no real interest in speedrunning, especially in a contest but I'm extremely curious about the skips/methods people are using to get these times. Last time I also started with clear/zen. Got something like 3:10 or something, but back then I had no idea how to improve more because of lack of other people to talk to ( I wasn't also looking that much for them ) and other video to study and learn from, so I swaped to 100%, and found like 2-3 people to talk to, find new strat and other stuff. After that, oh boy the run was close. 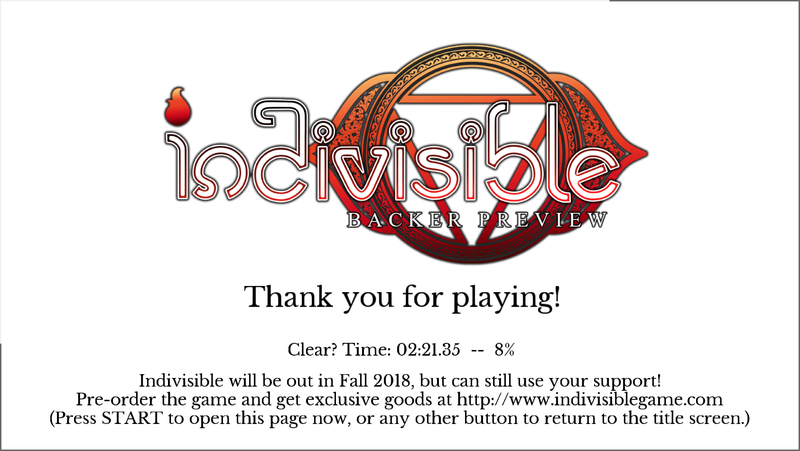 For pretty much whole time I had the best time and if I remember correctly, I was the only one that was streaming my runs ( can be wrong on that one ), BUT then at the last 8 h or so, havic did his run with all combine strats that we all found + one mroe thing, and well he was better ( Indivisible PROTOTYPE Speedrunning & Secrets Discussion ) I was kinda angry, only becasue I was first this whole time and still end up second, literally seconds before the contest end time. Thats why this time I'm little more focused on first getting all info I can before doings runs so that something simillar won't happend again. I will see in which category I will stay, have more fun doing. For now as far as I can see, people focus on clearest, and only havic doing 100%. He won last contest so I think he won't submit his run, or if he will, I think Lab Zero won't list his run with other ( because he already have that 500$ backer or whatever that time price was ) or they would ? I know I can still get lower, but don't know how much. I still need to think more for this. If someone is interested, I can share the route I'm currently using. KaboomKid and Aden like this. I still find it funny that the "perfect block" lets you survive with 1 hp, because thanks to that, you can basically survive everything ( as long as you get that timing right ) and something amazing like that is possible. It's supposed to basically be a parry, yeah. perfect block is amazing. it yields so much when you pull it off. I can't wait for counters to come into play. Like when you perfect block an attack and you cancel out of the blocking animation into an attack kinda like an alpha counter or something. that would be cool. Yeah, I'm curious how exactly counter is going to work, like if it's something you'll only get in bare handed or not and if you have access to it otherwise how that. You probably have to at least have a turn to counter instead of perfect block. Really hoping Kampan does get a counter for perfect blocking with a shell. i kind of agree. one of the most interesting parts of speedrunning to me is when a whole community collaborates to find faster and faster routes. with a contest, though, things become a lot more cloak-and-dagger and broad collaboration like that is implicitly discouraged. if you show your hand, youre at a disadvantage against someone who found a different set of tricks that theyre keeping secret. Since we're on this subject, I guess I should probably put actual speedrunning tricks/tactics in the OP. Off the top of my head the only things I remember being publicly shared have been the skips, bow-jump stuff and anything else in the runs @havick9 has been kind enough to post, is there anything else? Has anyone found any application for entering multiple supers at once in their runs? I was proud of that find but I don't know how valuable it is outside of doing something different in combat. It's kind of interesting that the mindset is so different from the one the Skullgirls community has been promoting that if you share your tech then it makes the competition more interesting. Though obviously there is a difference between fighting people in a fighting game and trying to win a speedrun contest in order to win a prize you consider valuable. Sharing tech in this contest means everything really will come down to the exact time as opposed to skipping right over the competition with some obscure trick you found. At least it's likely that everyone will share once the contest is over, since either you're only going to continue for enjoyment of the game or you're not going to continue so the tech doesn't matter. Being patient is just rough sometimes. I'd love to see it and would be willing to not share the route information, but I doubt you'd be willing to risk that, still doesn't hurt to ask. As I've said before I have no intention of entering in any case, I just enjoy this stuff. I don't like it because it skips the fun combat, makes me spam arrows, and it skips the golem summon skip that I wanted to learn. I like how it makes pacifist runs possible again though. Also, it's in a middle of a contest and I'm not sure if everyone will get informed if it does become illegal. My only complaint towards the skip being patched is it would dismiss the runs and time put into the routes currently used to compete in the contest. It took me near 60 hours of steam playtime to get a time I was satisfied with in clear? alone, having that grind gone for naught would be pretty crushing imo. As for how it'd affect the run itself, I think it's better for clearest since all the more action is great. For the clear run I think it's worse since it's the only forced fight. If they patch the skip they just need to extend the contest time. Either they won't do anything, or they need to rethink/redo the speedrun contest. - Fixed a bug where you could walljump back up into a Slide path. SO they Intentionally allowed the skip to work, and be used in the run. And even created different category - Clear? And now around 2 weeks before the contest end, they want to change things, bad idea imo. or leave things like they are now. There was a highlight where someone in clear run got Razmi whitout triggering the fight, before the warlock skip was found. I tested it, and and it worked like 90% of times. BUT the idea of that trick was to skip Dhar, so when you get Razmi, the window where you swap character wouldn't appear, and I though that was the point of not trigering the fight. But again, I found different video showing this "skip" working in kinda 100% attempt. The only similarity I can find in this, is that in both video that I saw, and in Mike , is that in all of them, Razmi was in fighting team. Dunno if that is a really needed to skip the fight, but thats the only thing I found simillar in all video. And even created different category - Clear? I remember pulling off "Clear?" not too long after the Preview went out, but I was always a little wary of anyone exploring it further since the contest page stuck with calling it a "Clear" Run rather than using looser terms. So, it's actually cool to see that they've also been accepting Clear? all this time. I feel like the toughest part of all of this is, if they have any plans to roll out a significant content update to the Preview before the end of the year as a means to generate interest, those last 16 days are now their only window of opportunity to do it. Whatever they decide for the contest, I feel like they still have to let the current contest deadline stick in order to keep their options open. It's just another drawback of releasing the Preview so late. This would save some time because you can stack as much as you want afaik since you wouldn't need to jump over enemies. It would also look pretty cool to walk through like a gallery of enemies and stuff lol. Definitely see this being patched before the contest ends, this removes some interesting movement as well. Cheesedragon, KaboomKid, Zenjitzu and 1 other person like this. God, that's almost creepy. They're just silently frozen. It's like Hyrule Castile in WW. Yeah, it's a shame this game released like this and didn't have a beta period that had a specific place to report bugs and the like. its a lot shorter than expected, eh? and wheres all the other characters!! I want my money back! I've been duped! SO after 30 min of preparing, here you go. Yeah thats why it took me 30 min to freeze every enemy you encounter on the way. I could get probably better time but well didn't care because this glitch is op and probably will be banned, and also I made few mistakes here and there with my movement. Also looked like the first half ( to the red belu near the secret entrance ) is similar timewise. So at least to me it didn't matter too much if you freeze enemy, or jump over them, I had almost same time ( maybe 1-2 sec different ) so themost time you save is on the fight with boss, and not dying. Should this skippable Warlock/Oont bug be banned for the clearest contest? Yes or No?